Kolkata: the t20 matches that can earn more money in short time has knocked out the champion’s trophy, and the ICC has again said good bye to the champion’s trophy event, now after 2020 in 2021 t20 world cup will be played again. 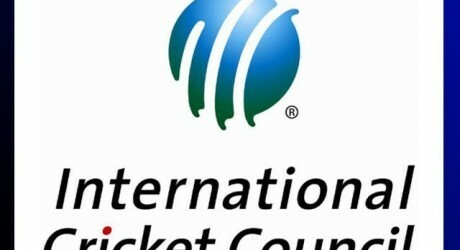 The next champions trophy audition was to be happened in India in 2021, but in the international meeting being held in Kolkata the international cricket council has decided to play t20 cricket in 2021 instead of one day cricket, and the interesting thing is that before this t20 world cup is going to be played in Australia in 2020, and this is going to be the second time when same format world event is going to be played one after another like 2 times in 2 years, before this right after one year in 2009 when Pakistan became the world champions the ICC announced world t20 in west indies. The main reason behind this decision is go give opportunities to the teams to play matches in proper format at world level, not only this the international cricket council took another big step and announced to give international status to the t20 matches being played mutual among two teams all around the world and the aim behind this is that with the help of short format the cricket will become global game and will also give opportunities to all the members that where they feel that they can p-lay better they play at international level, all the women national teams all around the world will get this status on January, 1, 2019 whereas the men teams will get this status on January, 1, 2019 which is the cutoff date of world t20. The reason for giving place to t20 instead of champions trophy by ICC could be more profitability, in this tournament instead of 8, 16 teams will take part, more matches will be played and income will also increase, one of the directors said that the market has gone weak, and by increasing the income the board members parts will also increase.